The Barely There iPhone Case from Case-Mate protects your iPhone 4/4S from unwanted damage and makes your cell phone look even better. The iPhone case is ultra thin and features minimal design. This is one of the best-loved cases from Case-Mate that integrated elegance with performance to help you keep your phone look like new. Covering and shielding your cell phone, this iPhone case is custom made of high quality materials. It comes in multiple colors and textures that adds a stylus look to your phone. What’s more, since it is very slim, it does not add too much volume to your device. Crafted from uniquely manipulated materials, such as very sturdy plastic cover, it features the form fitting design that keeps your cell phone securely in place. 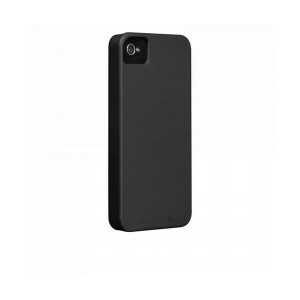 The iPhone case is compatible with both iPhone 4 and iPhone 4S. Please visit MyTrendyPhone.com, if you are interested in more iPhone accessories. This entry was posted in Uncategorized and tagged Case-Mate Barely There Case, iPhone 4 Accessories, iPhone 4 Case, iPhone 4S Accessories, iPhone 4S Case, iPhone accessories, iPhone Case, Mobile Accessories, Mobile Case, Smartphone Accessories, Smartphone Case. Bookmark the permalink.